PULLMAN, Wash. – Nine faculty have been selected to the first cohort of Community Engagement Faculty Fellows at Washington State University. They represent eight disciplines, five colleges and four campuses. 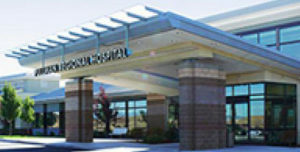 PULLMAN, Wash. – Full-time Washington State University faculty are eligible for a new $5,000 fellowship from Pullman Regional Hospital intended to advance health care delivery, lower costs and improve patient outcomes. The deadline to apply is Dec. 31. PULLMAN, Wash. – Faculty are invited to apply by Friday, Nov. 18, for stipends of $1,250, plus $500 for course development and/or project dissemination, as fellows for student engagement at Washington State University. PULLMAN, Wash. – The Honors College at Washington State University is accepting applications and nominations for its inaugural cohort of faculty fellows. PULLMAN, Wash. – Associate professor Tom Salsbury has won a three-year Washington State University grant for research into the counseling needs of middle school English language learners in Washington. PULLMAN —Thanks to three newly created faculty fellowships, WSU College of Education researchers will expand understanding of teacher leadership, human resiliency, and the effectiveness of teacher preparation. Jason Margolis, Laurie “Lali” McCubbin and Dawn Shinew will each receive $10,000 per year for two years to fund their projects, with the possibility of a third year of funding, said Judy Mitchell, dean of the college. After that time, other College of Education faculty may apply for the fellowships.